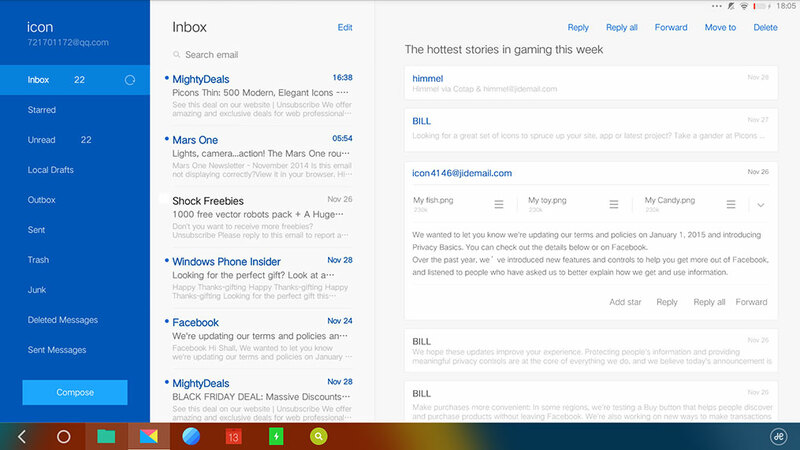 Remix OS is an attempt to correct this by adding a Windows-styled taskbar and multi-window support. It even has its own version of Windows 10’s Continuum, where users transition from touch mode to keyboard mode at the tap of a button. When you’re in full screen, tap the Jide logo on the lower right to view apps in smaller windows. I’m not sure if these are resizeable, but they essentially become the apps’ smartphone versions. If it’s just a hackneyed clone of the Surface Pro and Windows, then why bother? While the Surface Pro has an endless number of keyboard and mouse applications, it doesn’t have many great touch-based apps. 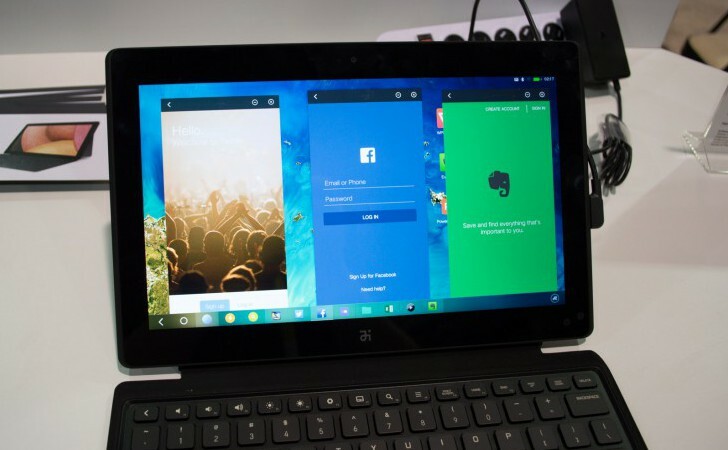 The Remix OS brings Android’s vast library to a potentially capable converged device. I’ll have to get my hands on one to know how well it really works. The second thing the Remix Ultra Tablet does right is the price. The plan is for the 16 GB model to sell for $350 and the 64 GB model for $450 — I assume these prices include the keyboard. The tablet sports an 11.6-inch, 1080P display, 2 GB of RAM and a Tegra processor. 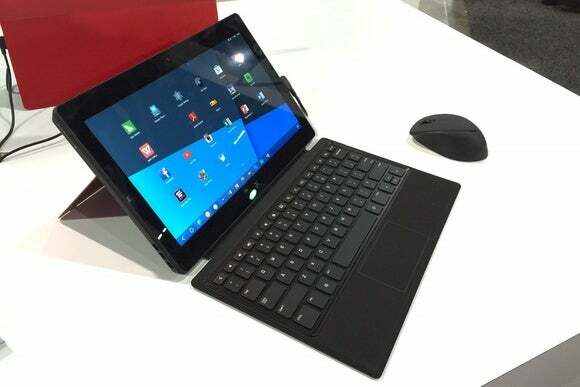 If Jide is smart, the tablet should weigh less than 1.5 pounds. While the Surface Pro does a lot of things right, one thing it doesn’t have is an accessible price. The Remix Ultra has the chance to replicate what Microsoft is trying to do with the benefit of the Android ecosystem, all at a mass market price. I would like to point out that while this device does have a wealth of android apps, android doesn’t have a wealth of tablet apps. Android is perhaps in an even worse position than Windows as far as tablet oriented apps go, lacking even basics like a facebook app for example. iOS is the only tablet OS that presents little to no compromise when it comes to ecosystem. I agree with that. The one thing I’ll add is that with multi-window support, those smartphone-masquerading-as-tablet apps become interesting again. E.g. Twitter in portrait mode on one side and Office in landscape mode on the other. True, however these apps should still be expected to be adequate in full screen mode as well, and I doubt these apps scale as intelligently as Windows apps, what this device will be directly competing against in the market. While this is certainly an interesting device for a number of reasons, I just don’t think android can support a devices like this, or any tablet for that matter.